No charge if cancelled7 days before arrival. No changes allowed within 7 days of arrival(Full price will be charged). For stag and hen parties there is a deposit of 20 euros per person to be paid on arrival by the person in charge of the booking. This is refunded in full if there has been no problems with the group. In the case of all other groups a credit card is required instead of a deposit. this is not accessed unless damage occurs. A minimum of two nights must be booked if booking for busy weekends. 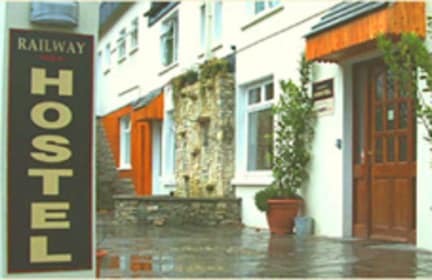 Our hostel is situated in the town of Killarney directly opposite the bus and train station. 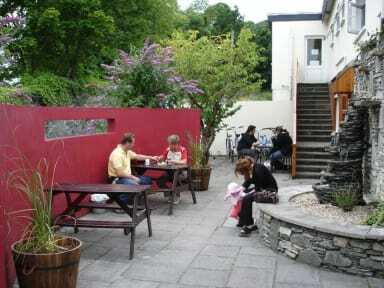 Within the hostel we have both dormitory style accommodation and private en suite rooms. The family en suite room consists of one double bed and two single beds. Facilities include free light breakfast, free Wi-Fi, Internet access, a fully-equipped kitchen and dining room, laundry facilities, hot showers, cheap phone calls, fresh bed linen, free luggage storage and free parking spaces (subject to availability). We can also arrange bicycle rental and tours to local scenic spots. If you feel like hanging out we have a book swap library, an acoustic guitar, up-to-date DVDs, board games, playing cards, and regular movie nights. Fancy going out instead? We also have maps and 'What's On' guides, plus free admission vouchers to local clubs! If that's not enough, all Hostelworld bookings get 20 minutes of complimentary public Internet access at the hostel upon arrival - just ask at reception! Our hostel is staffed 24hrs a day, 365 days of the year. Best Location, unbeatable. The place was clean and my room came with a toilet and shower. There were no towel or soap but that's the nature of hostel, I guess. The reception was good, though we never interacted apart from the point of when we reached. For the price one pays, I think it is a very good deal. The hostel is in front of train station and bus station. Rooms are big enought but no lockers although there is a room where you can store your stuff near the reception. Bunks are a thing.. The lower bunk is too low.. Be careful with your head because you might hit it. Kitchen is ok.. But breakfast it's no so early so don't know what they give.. But it's propably juice.. Bread and cereal...city is small so you might see all walking. I rented a bike for €15 at 10 Beech Rd.(sunday). The woman who checked us in was AWFUL. She kept telling us she was annoyed we booked through hostelworld because she looses money. Offered no suggestions of local things to do. Everything we mentioned doing she had a negative attitude towards. Stayed in a two person private with ensuite. Nowhere to lock up your belongings. Strong wifi in the room. Overall would not stay there again because of how awful our experience at check in was. This hostel was fine, and it had a big kitchen with free breakfast. It wasn't unclean, just a bit old which made it look a bit less clean than it actually was. I didn't think the atmosphere was great. Need more variety for breakfast other than toast and dry cereal. Not sure bathrooms were cleaned daily? Great service with laundry. The railway hostel was a perfect location for our adventures in Killarney. For the most part the staff were helpful, one of the women working behind the desk was very short and kinda mean. She had a load and aggressive breakdown on the phone while my siblings and I were eating breakfast in the next room which took away from the present atmosphere and our overall impression of the hostel. My room smelled DANK as hell for the three days I was there and the bathrooms were a little small. 3 out of 6 of us woke up with bed bug bites, there were 2 outlets for a room of 10 people, and the front desk receptioness obviously hated her job. Not mention they offer “free parking” which means 4 parking spots for the entire hostel. I now understand why it was so cheap, literally stay anywhere else.